Winning Moves Games was founded in 1995 by four highly esteemed game industry professionals. Their mission is to provide happiness in the lives of our consumers by offering Classic, Retro, Cool and Fun games for play with friends and family. 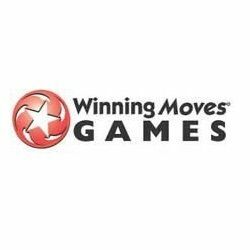 Winning Moves is a leading maker of classic card and board games, world renown puzzles, action games and popular adult party games. Rubik's Build It Solve It!